Imaginet helped a leading insurance software company successfully integrate Microsoft Test Manager and Team Foundation Server to enhance team collaboration and gain productivity. This insurance software company lacked an integrated QA environment, which resulted in cumbersome test case management, lack of visibility into test metrics and results, and hindered team productivity. Using our Test Manager Quick Start program, Imaginet implemented a Microsoft Test Manager (MTM) and Microsoft Team Foundation Server (TFS) solution for the QA team to solve their current testing challenges. Due to the lack of an integrated testing environment, testing their software solutions proved to be difficult. In addition, this client didn’t have access to accurate test metrics that could provide insight into the overall progress made within the current testing phase. The lack of visibility into real-time test results was also an issue, resulting in slower team productivity. Imaginet imported over 6,000 test cases into MTM/TFS to establish the desired centralized test case repository. Imaginet also worked side-by-side with the QA team to review their manual testing process and to setup an optimal test plan strategy in Test Manager. Imaginet’s ALM Quick Start Program has three distinct phases designed to ensure a successful implementation to meet the organizations goals and objectives. In the Plan Phase, we established a common understanding of the vision for ALM, the current environment, and client goals and objectives. In the Deploy Phase, Imaginet implemented an operational Test Manager environment. We then provided the Best Practice Framework, Customized Training, Mentoring and Support to ensure the success of Test Manager. In the Review Phase, we investigated ALM adoption options for future enhancements. 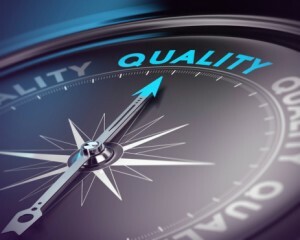 Imaginet‘s Senior ALM specialist coached the QA supervisors and the entire QA team to review best practices, advise on the specific features and functionality, and to retrieve and report on real-time test metrics. Imaginet brought together people, processes and technology with our world renowned Application Lifecycle Management methodologies to ensure a complete end to end strategy and solution.